Welcome to Bella Luna! 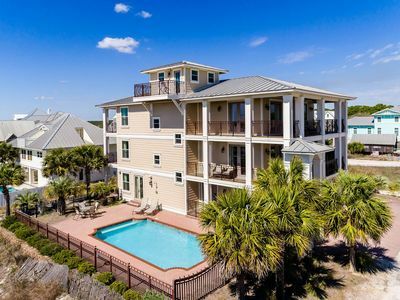 Only minutes away from the sugary sandy beaches of the gulf, Bella Luna is your escape to the Emerald Coast! 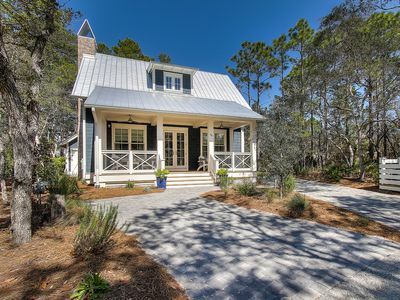 This beach cottage was built in 2016, and no detail was overlooked. 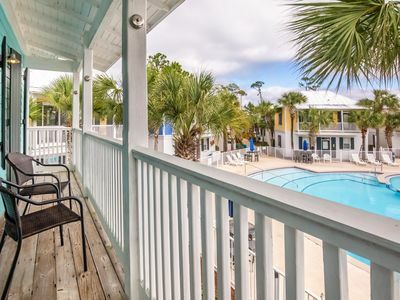 The convenient location in the Hammocks of Seagrove gated community offers access to anything you may wish to explore. 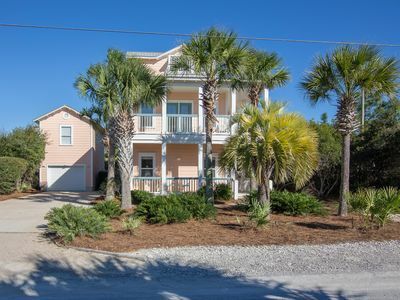 You are a quick stroll to the dedicated beach access at the 395/30a intersection (0.4 miles), and are a relaxing bike ride minutes away from Seaside and Watercolor. 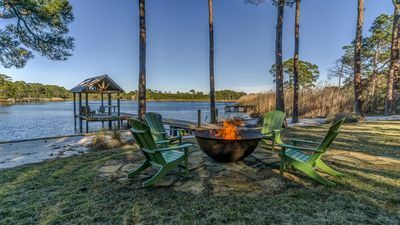 The Hammocks at Seagrove features two neighborhood pools, as well as a private nature boardwalk that provides a launch point with access to Western Lake. 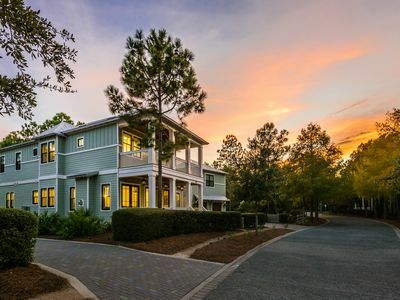 This gated neighborhood offers all the best of 30A while preserving the peace and tranquility that Seagrove has to offer! 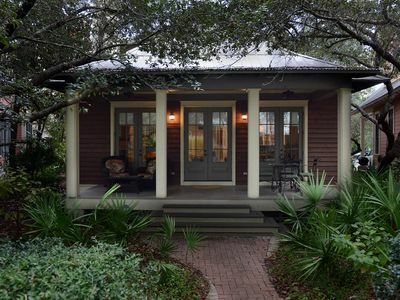 As you approach Bella Luna, you will find the inviting front porch that features custom Adirondacks, perfect for coffee or cocktails. 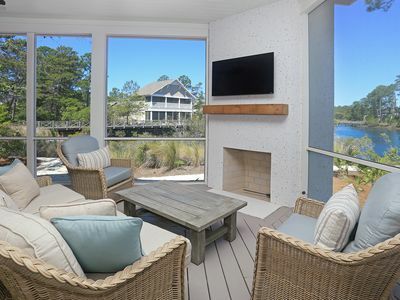 The side screened in porch offers a more private venue for watching a game on the flat screen TV or relaxing on the plush swing daybed. 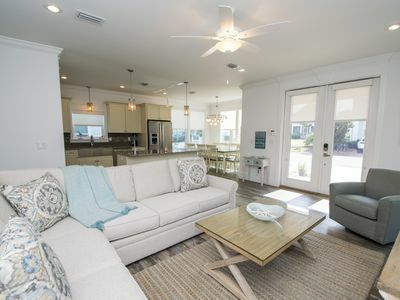 Upon entering, you will find that this home was designed so that all guests are able to mingle easily between the living room, gourmet kitchen and dining area. It is easy to enjoy the airy atmosphere of the well-appointed living room and the adjacent custom farmhouse dining table offers seating for eight (8). 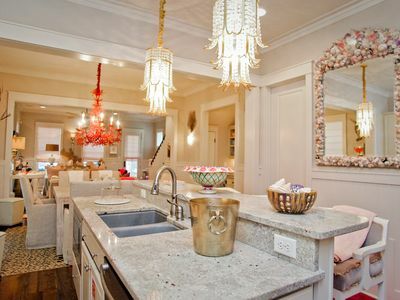 The gourmet chef’s kitchen is well-equipped with professional grade appliances and offers a twelve (12)-foot leathered granite island with seating for six (6). Stylish accents throughout create a relaxed yet very refined feel for an impeccable vacation experience. The downstairs king master suite includes flat screen TV, luxurious linens, large walk-in closet, and en-suite bath complete with walk in shower plus tub. The upstairs king guest room shares a Jack and Jill bath (with pocket doors for additional privacy) with the queen guest room. 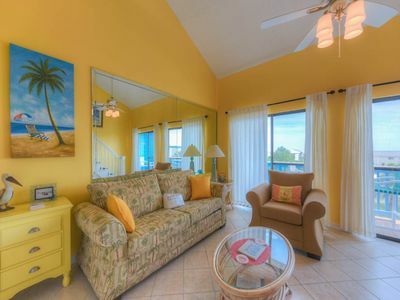 Each of the upstairs bedrooms offer luxurious linens custom built-ins, and flat screen tvs for refined comfort. 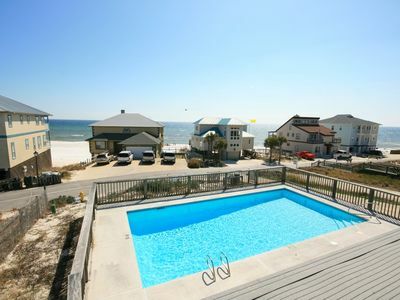 Come experience Bella Luna at Seagrove Beach and you’ll be returning year after year! *Access to fireplaces is not available with your reservation. 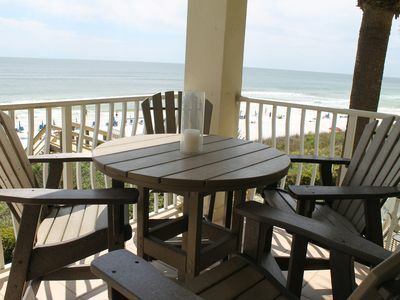 Beachcfront II 302 - Your spring NW Florida vacay awaits. 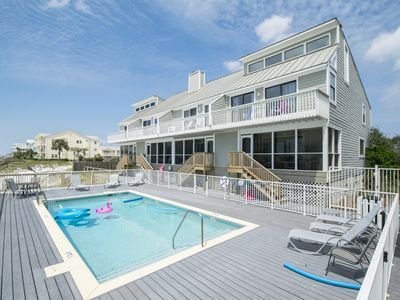 "Coral Reef" 5 B/R, 5 Bath in Blue Mountain Beach, Private Pool. 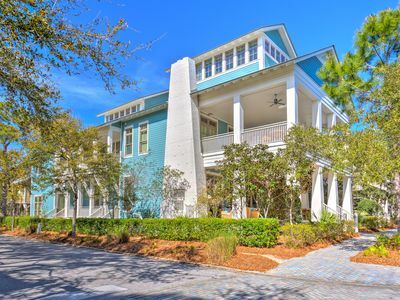 Best Home, Front Porch & Location in Watercolor!!! 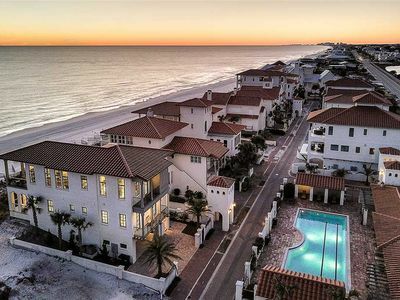 Spectacular 7BR Beach House w/ Private Pool - Panoramic Gulf Views! One Story, by Ruskin Park, Close to Town in Seaside. 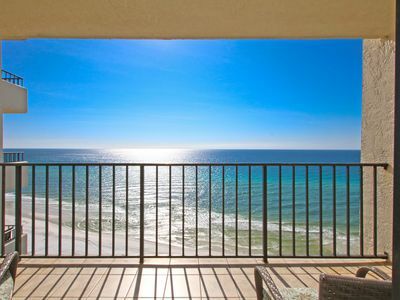 Gulf Views!! 3.5 bed/3.5 bath home w/ 2 sleeper sofas and a loft area! Executive Access Home! 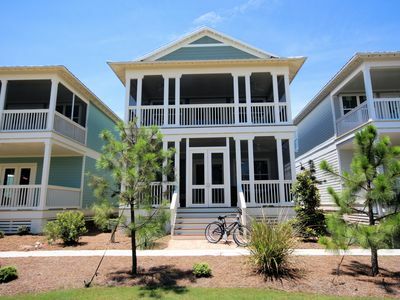 Park District - Park Views & Spacious Porches! 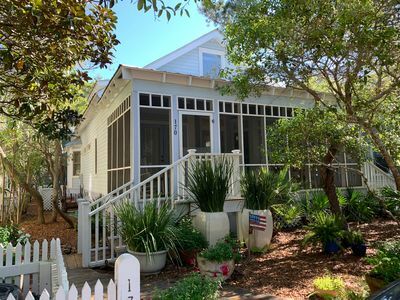 ☀Coastal Blue☀2BR-Bungalows at Seagrove-30A-UPDATED! 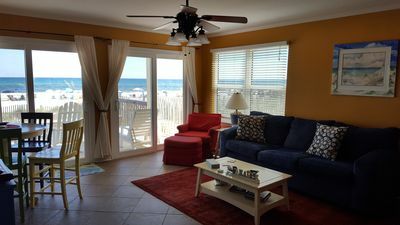 OPEN Apr 22 to 25 $634!